We made this soup as a bit of an experiment… There’s a vaguely Thai style carrot soup available in the chilled cabinets at supermarkets which we’ve both rather enjoyed, but recently they seem to have changed the recipe and there’s a lot more chilli heat in it, which doesn’t do at all for Alex. So we thought we’d have a go at making it ourselves without any of the things that can set off digestive issues. So no onion, garlic, chilli, that sort of thing. And wow it came out well! It’s the sort of soup that you can’t leave hanging around in the kitchen, or you’ll be sneaking spoonfuls every time you go near and there’ll be none left! grated carrot everywhere… all in the pot… and then soup! 1 kg carrots, peeled and grated. We used a food processor, which is much quicker for this sort of quantity! 6 little potatoes, sliced. Ours were around 6 cm long. Put the carrots, celery, potatoes, lemongrass, ginger, fennel seed, asafoetida and water in a large saucepan. Bring to a simmer and cook partially covered for 30 minutes until the vegetables are lovely and soft and collapsing into the liquid. Remove the lemongrass, stir through the coconut milk and basil, and then blend the soup until velvety and smooth. Season to taste with salt. I found myself in the mood for a quick and tasty burger, this really hits the mark, there is depth of flavour from the yeast extract and white miso, good crunch from the hazelnuts and they are really filling from the oats.. And they only take 5 minutes to assemble. I’ve used more water than is strictly necessary, that’s because I wanted a thin burger and didn’t want it drying out, if you want to make thicker burgers then reduce the amount of water to 120ml. Blitz the hazelnuts and mushrooms, I used the food processor attachment on my hand blender. Mix together all the other ingredients so the miso and yeast extract dissolve then add the solution to the dry mix and stir together well. 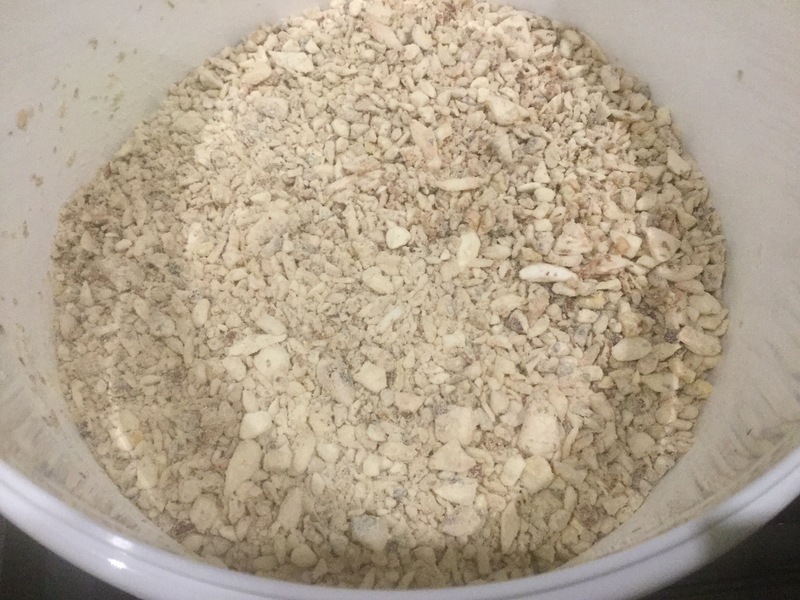 Leave for 10 minutes to let the oats absorb the liquid. 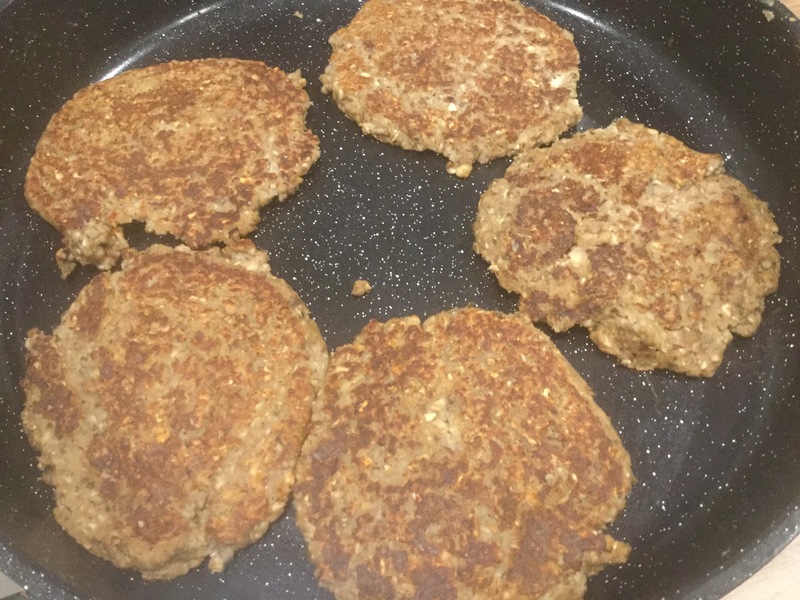 Divide into 5 large flat-ish patties and cook in a hot, oiled, pan until firmed up and nicely browned, it should take about 8 minutes a side.